a community based crime prevention program which aims to improve the quality of life within a neighbourhood by minimising preventable crime and promoting closer community ties. The Neighbourhood Watch program relies on the community and the Police working together in a partnership to achieve the aims of the program. 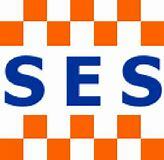 This site has information about the program running in Tasmania and tools to help you to begin or enhance crime prevention tactics in your area. It takes a wide range of people with various skills, working together to build Neighbourhood Watch, promote its philosophy and achieve safety and harmony in the community. All Tasmanian residents are welcome to apply for a Neighbourhood Membership or to be a volunteer as part of an existing local Neighbourhood Watch group. © 2019 Neighbourhood Watch Tasmania Inc.